Dealing with a Driving Under the Influence (DUI) charge or conviction can affect your life in a number of ways. When dealing with an out-of-state DUI, it is important to recognize if or how that affects you differently than an in state DUI. Most states are members of the Drivers License Compact or interstate compact which binds all member states to report any and all traffic violations to one another on a national database. This means that when you get are charged or convicted of a DUI out of state, that charge/conviction becomes a part of the national database. 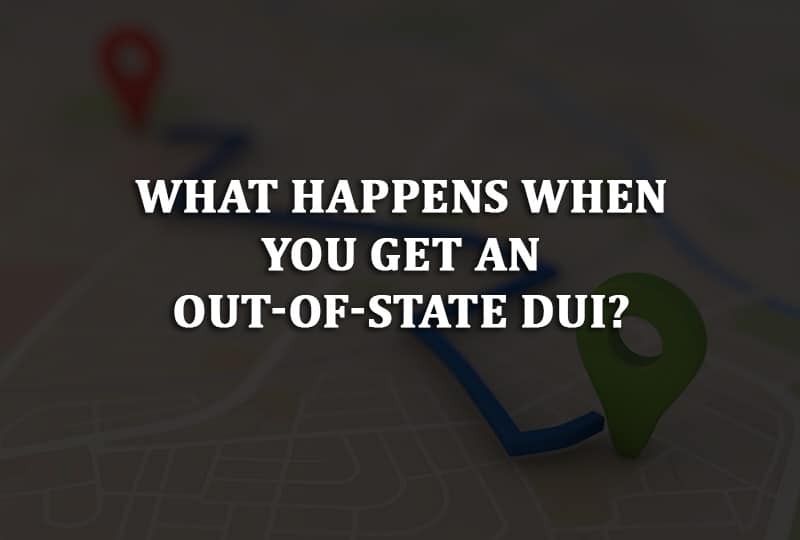 Whether DUI penalties transfer from state to state, how out of state license suspensions function, and how DUIs affect your ability to move to a new state are all key to fully understanding the impact of an out-of-state DUI. Do DUI Penalties Transfer Over from State to State? Practically, it is safe to assume that DUI penalties do carry over from state to state. If a state issues you a penalty for a DUI, a new state will not issue you a new license until existing penalties on your preexisting license clear. While this may not be considered a literal carrying over of a DUI penalty (because the penalty or revocation is on your existing state license), it is an effective penalty carryover because any limitations placed are still affecting you in the same way until cleared. However, there are 5 states that are not part of the interstate compact; those 5 states do not have the same access to your driving record as the 45 that do. If you were convicted of a DUI out of state and that conviction resulted in a driver’s license suspension, you are likely to face a similar punishment in your home state. The likelihood for a similar punishment is not because the suspension out of state automatically applies to your home state; instead, the likelihood for a similar punishment is due to your home state having access to the recorded DUI via the national database provided by the Drivers License Compact. If I Get a DUI, Can I Move to Another State? If you are currently on probation for a DUI offense, then moving to another state can be challenging. This challenge is due to Interstate Compact for Adult Offender Supervision (ICAOS), which is legislation that dictates how states must deal with the transfer of offenders from one state to another. To move to a new state while on probation from a DUI, you will probably need to contact your state’s parole/probation board as well as the board for the state you intend to move to. If you have a DUI that you are not currently on probation for, then your past conviction should not prevent you from being able to move to a new state. While these states may not have immediate access to your driving record, it is important to recognize that they are not a safe haven for those with DUI convictions. When applying for a driver’s license in any of the states mentioned above, they will likely ask if another state previously convicted you of a DUI. Failing to provide accurate information will place you at risk of serious penalty, including making you liable for a felony perjury charge. Related: Do I Really Need a DUI Lawyer? For the most part, a DUI in one state will affect you when in another, even if the state you move from or to is not part of the interstate compact. When dealing with the legal ramifications of a DUI charge or conviction, it is always wise to hire an experienced attorney who can assist you in the process.